Site Update and New Podcasts Coming Soon! Hi again, everyone! Let me preface this by saying–for once–there’s no April tomfoolery going on. Legit announcements! 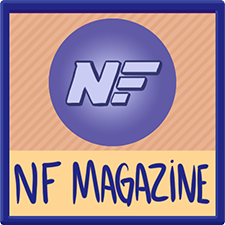 NF Magazine is doing a Mother 3 issue this month, and I drew the big ol’ wall poster for it this time! While BitF as a comic is wrapped up, many of you have wondered about what happened to the podcast. I’m happy to say that Chris and I talked it over and decided we want to do regular podcasts, every month! 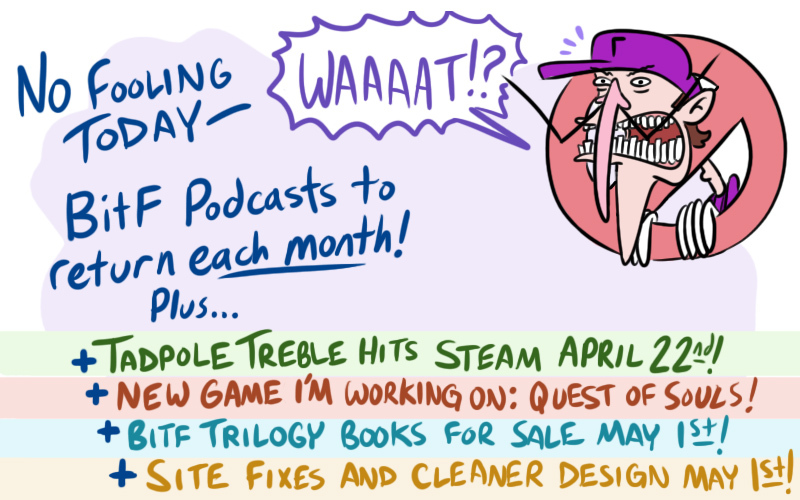 So starting May 1st, we’ll be introducing new podcasts, once a month (with two new ones on that day)! 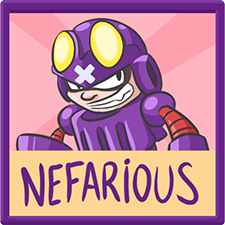 Secondly, with regular updates like that, we also want to clean up the site a bit. Organize some of the special images better, fix some of the broken things, and make the main page a cleaner arrangement. The page kinda looks a little Janky Kong. I’m aware a lot of you enjoy the site as it is, so this isn’t going to be a major overhaul, just a better use of space (mainly for the front page of the site). Look at all that yellow on the sides! 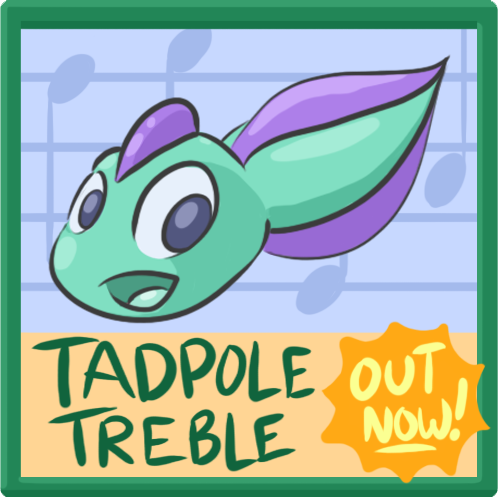 Third, Tadpole Treble has a release date: April 22nd for Steam, with Wii U following soon after! More information can be found in the latest Kickstarter update. Fourth, I’m doing music for yet another indie game! This one’s a 90’s-inspired shoot ’em up RPG called Quest of Souls, and it’s already shaping up to be something special in this early stage. The soundtrack so far is a little bit Final Fantasy and a little Castlevania. Its Kickstarter just went live! 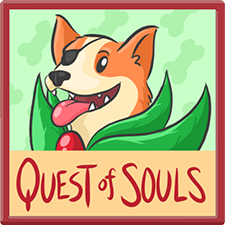 Look–all these indie devs work in the same office and have their own roles in Quest of Souls. Finally, the Brawl in the Family Volumes Two and Three books! Now that the Kickstarter backers are getting their last books, I’ve ordered another shipment to fulfill final preorders and to sell on the store! All books sold on the site will be hardcover. We’ll also have a limited number of the deluxe slipcase to sell as well. They’ll all go on sale May 1st! The main thing is that I’d like to have the site easily let you guys keep track of what I’ve been doing, in addition to hearing the podcasts. BitF will sort of be a base of operations in that way, with monthly updates. And of course, the archive of comics, content, etc will all still be here for your enjoyment. So don’t forget to drop on by!